Applications: This 3 piece diamond polishing pad set provides a means of polishing small areas of granite, marble, masonry and even concrete at very low cost compared to the professional set. The stage 3 pad (fine) will leave a bright finish. The pads can be bought individually or as a set. 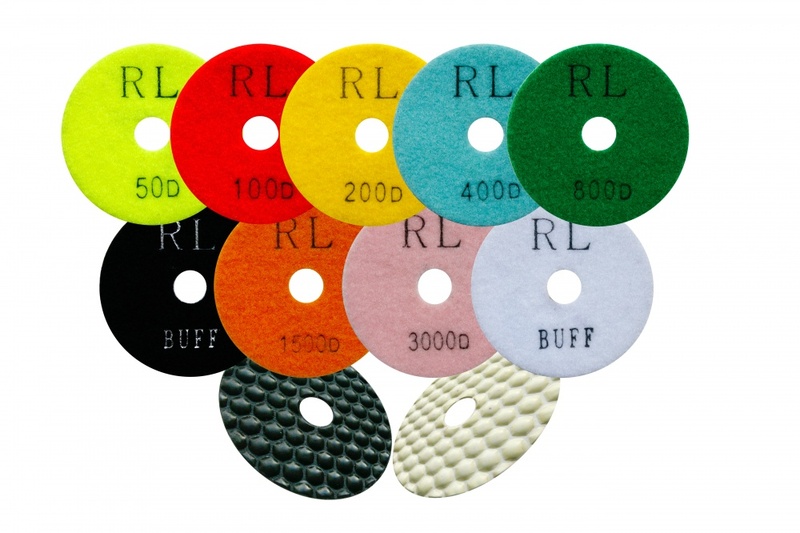 For a high gloss finish, you may wish to add a buffing disc from our professional set of wet polishing pads. Use with a suitable polisher or variable speed angle grinder at approx 2,000-2,500rpm. 100mm diameter, with water feed hole. 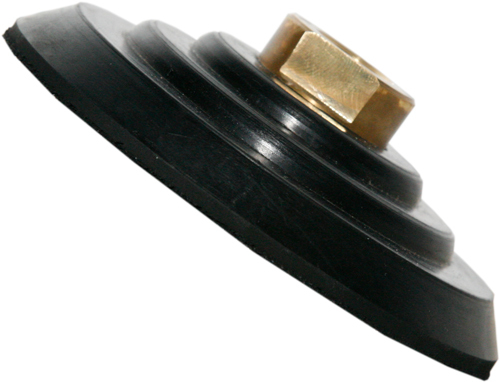 'Velcro' type grip backing for use on suitable backing pads. For granite, marble, suitable masonry and concrete. (Not suitable for glass). 3-stage from cut or ground surface to bright finish. 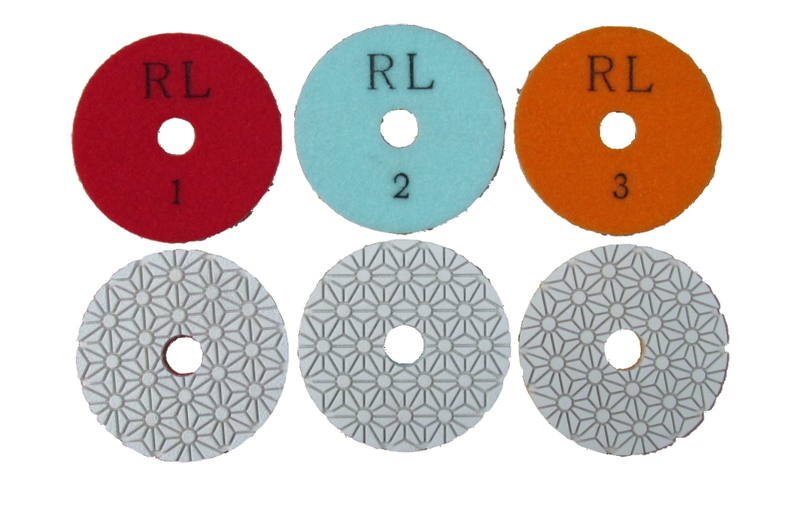 Also Available: We have dry use diamond polishing pads for those areas where water would be a nuisance. 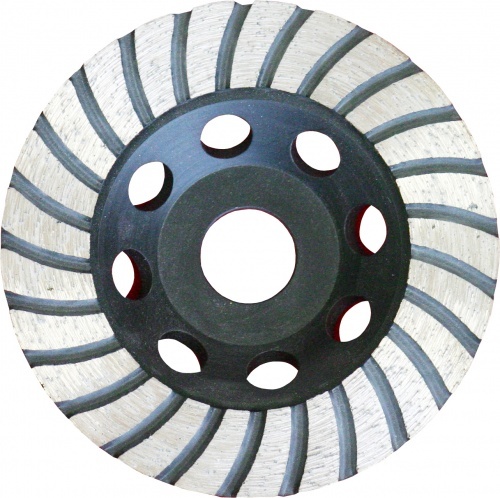 Turbo segmented diamond grinding discs give smooth results and work better on harder stone. Available in sizes from 100 to 180mm.